With managed Google Play, organizations can build a customized and secure mobile application storefront for their teams, featuring public and private applications. Organizations’ employees can take advantage of the familiarity of a mobile app store to browse and download company-approved apps. As with any enterprise-grade platform, it’s critical that the managed Google Play Store operates with the highest standards of privacy and security. 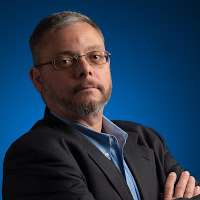 Managed Google Play has been awarded three important industry designations that are marks of meeting the strict requirements for information security management practices. Granted by the International Organization for Standardization, achieving ISO 27001 certification demonstrates that a company meets stringent privacy and security standards when operating an Information Security Management System (ISMS). Additionally, managed Google Play received SOC 2 and 3 reports, which are benchmarks of strict data management and privacy controls. These designations and auditing procedures are developed by the American Institute of Certified Public Accountants (AICPA). To earn the ISO 27001 certification, auditors from Ernst & Young performed a thorough audit of managed Google Play based on established privacy principles. The entire methodology of documentation and procedures for managing other companies’ data are reviewed during an audit, and must be made available for regular compliance review. Companies that use managed Google Play are assured their data is managed in compliance with this industry standard. Additionally, ISO 27001 certification is in line with GDPR compliance. With SOC 2 and SOC 3 reports, the focus is on controls relevant to data security, availability, processing integrity, confidentiality and privacy, which are verified through auditing reports. In managed Google Play, the data and private applications that enter Google’s systems are administered according to strict protocols, including determinations for who can view them and under what conditions. Enterprises require and receive the assurance that their information is handled with the utmost confidentiality and that the integrity of their data is preserved. For many companies, the presence of an SOC 2 and 3 report is a requirement when selecting a specific service. These reports prove that a service company has met and is abiding by best practices set forth by AICPA to ensure data security. With managed Google Play, companies’ private apps for internal use are protected with a set of verified information security management processes and policies to ensure intellectual property is secure. This framework includes managed Google Play accounts that are used by enterprise mobility management (EMM) partners to manage devices. Our commitment is that Android will continue to be a leader in enterprise security. 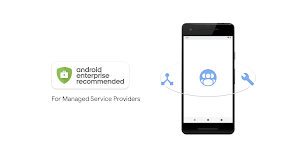 As your team works across devices and shares mission-critical data through applications hosted in managed Google Play, you have the assurance of a commitment to providing your enterprise the highest standards of security and privacy.